Do you ever have one of those days where your mind decides what life is suppose to be like for you, and you’re left wondering why your life isn’t that way? Even if its not something that you would necessarily want in your life? I’m not trying to get all philosophical on you today, especially not on a 300 Thursday! I don’t have to space for that! But sometimes my brain decides what my life should look like even if it’s not what I have decided for myself. Woman sitting on light coloured couch, relaxing after a long day, having a glass of wine. Sometimes reading a book, maybe with a fireplace in the background. This is what my brain has decided my life should look like. 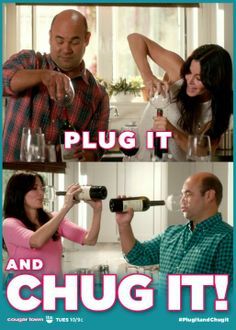 There is just one thing wrong with this idea, which my brain refuses to acknowledge: I hate wine. I haven’t had wine since I was like 12! Once a year, on New Years Eve, my parents would give my brother and I like a teaspoon of wine. We were allowed to drink from the real crystal wine glasses which had a splash of wine and the rest of it full of apple juice. You could barely taste it, but I still hated it! So now, as a grown woman, knowing full well that I hate the taste of wine, some days I am left thinking that it’s what is missing from my life! I need to become a wine drinker! lol this reminds me of me at your age! It is when I looked back and had thoughts “what am I doing and how did I get here” type of stuff. But, I use to think I was suppose to be a wine drinker like somehow that depicts sophistication or something??? Crazy what we put in our heads. I am almost fifty and I should have life by the balls so to speak and I don’t. I am still learning. The key is here to be open to new things and know if you don’t like something at 29 you probably won’t like it later in life either. It is a feeling that things are moving forward and you are not comfortable of where you exactly are in life. We hardly ever are at 29. Or, some just settle and think of nothing more than what they are and have now. I settled but still entertained thoughts of what 29 was suppose to look like. Great post!! Took me back a few years and I needed that! For me, it’s more of a feeling that I look at my life now and can’t believe how different it is from what I imagined for myself when I was young. Not that I’m complaining. I am so wonderfully blessed. It’s just that, I think of myself as a, say . . . a 25 year old. (That was 12 years ago. . . oh my!!) I was immature and had so much to learn, but I wouldn’t have known it then . . . I thought I knew everything and had everything all figured out. It makes me laugh now to think of it. I had a ten year plan for myself and thought I knew exactly what I wanted from life. I think in all the growing up I did since then, I now at least recognize that I still have so much to learn. And also in that time I also developed a faith in God. He gave me a present (a now) that is so much better than anything I could have dreamed up on my own. I haven’t accomplished any of those goals I had back then (no PhD, no published novel, I’m a stay at home mom instead of a career woman), but I wouldn’t change it for anything. It makes me love God more to know that He knows what I need even more than I do, and He would only give me the best. I know that not many people share my faith and that might sound silly to many people, but it’s how I feel. I remember your post about your mom not agreeing with your decisions. That’s rough. I’m so sorry. If it makes you feel any better, my mom cried all those years ago when I told her that I was resigning from my teaching job at a good district to go overseas again for another “adventure”. She has since come around, though. I think part of her coming to understand that we weren’t going back to the USA was when she finally came to visit me in Korea and saw what the appeal was and how many more opportunities we had there. . . even if it still made her a little sad. Another thing that helped her to come around was that I have a skype date with her once a week and when she thinks about it, she talks with me more than she talks with my siblings who live in the same state as her. I hope that gives you some encouragement. Hang in there. It is rough leaving for sure! And I email every week. Although I kind of hate Skype haha!! I hope she comes around soon 🙂 it does give me encouragement to know others havd went through the same thing! Thanks for sharing your experience!